With a solid hands-on background in all areas of the painting industry, and possessing excellent interpersonal and organizational skills, Gary was made General Superintendent for a large commercial/industrial painting contractor in 1985. He held the position for ten years. In an effort to more fully use his ideas, knowledge, skills and talents, Gary took an entrepreneurial leap in 1995 to form Flannery Painting, Incorporated. Under Gary’s leadership, Flannery Painting, Inc. quickly rose to be one of the tri-state’s most successful commercial/industrial painting and wall-covering contractors. Flannery Painting built an excellent reputation for providing superior service to its valued customers. Gary held the position of President and Vice President of the Cincinnati Chapter of the Painting and Decorating Contractors of America (PDCA). In these roles he brought new ideas and knowledge to all tri-state area painting contractors. Gary spearheaded a movement to reform the architectural specifications for painting and wall-covering. He was the committee chair for this ongoing project. This has all been in keeping with Gary’s long-time efforts to improve the skills and reputation of the painting industry. Gary passed away unexpectedly in December 2018 and Teresa Flannery took over the role as President. 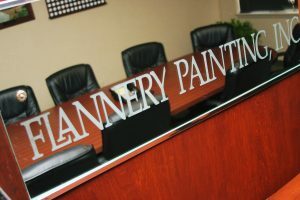 Flannery Painting, Inc. has won numerous awards including Northern Kentucky Chamber of Commerce Small Business Success Award winner in Construction, Kentucky Small Businessperson of the Year Runner-up and honorable mentions for the Blue-Chip Enterprise Initiative Award and the Ernst & Young LLP Entrepreneur of the Year award. 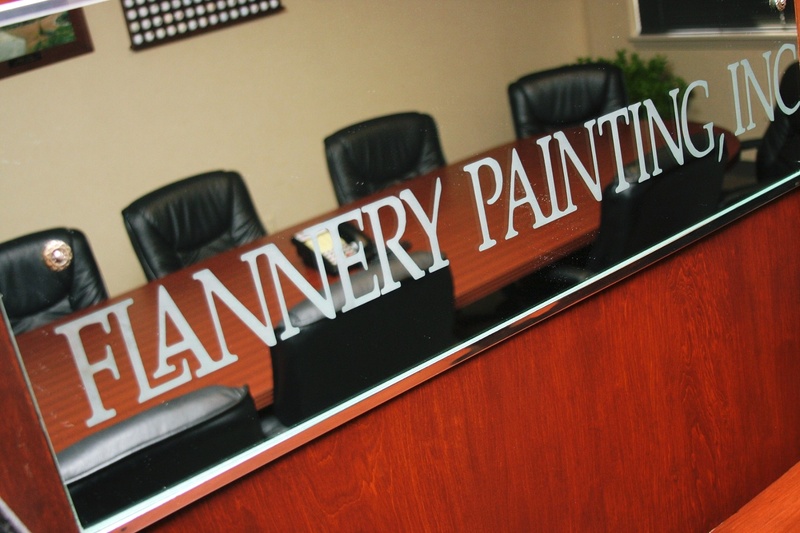 Flannery Painting – Flannery Painting, Inc. is a union, commercial, industrial painting and wall-covering contracting company. 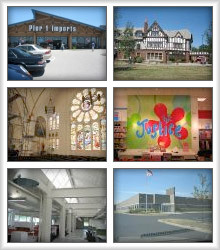 The market area it serves includes, but is not limited to, the Tri-State (Ohio, Kentucky, and Indiana). Projects have also been completed in New Jersey, Chicago, Dayton, Portsmouth, Lexington, and Louisville. Major customers include general contractors such as ML Barnard, Paul Hemmer Companies, Schumacher Dugan, Duke Construction Management, Hunt Builders, Turner Construction, Maxwell Construction, Kajima, and R. J. Beischel Builders. Flannery Painting, Inc. also serves project management firms, hospitals, schools and the Archdiocese of Cincinnati. Flannery Painting, Inc. prides itself in superior craftsmanship. Its employees are well educated in tenant and shell finishes, special coatings, faux painting and wall-coverings of all types. The field personnel keep up to date with classes on all applications. The company possesses an excellent health and safety program and prides itself on its safety record. Its employees participate in sixteen to twenty-four hours of OSHA, HASZOM, and Health and Safety Training each year.